As president of Temple Rodeph Torah in Marlboro New Jersey, I spend 2-3 evenings most weeks working on various temple committees or addressing specific issues. With a full time job, temple activities take up all my spare time. Only because I want to, I attend Saturday morning minyan services, and I never miss a Friday night Rock Shabbat service. Sometimes I wonder – wouldn’t it just be easier to become less involved? I already struggle with my belief in God and doubts about the validity of my faith. Couldn’t I just redirect my time to other “hobbies”? It isn’t that a part of me doesn’t want to have this extra freedom. But when I think of doing anything else – of spending less time searching for meaning in my life – I just can’t imagine it. Judaism has become integral to who I am. Although as a Reform Jew I feel empowered to chose to be involved less, to observe less – even to care less – I choose not to. And so I created this blog. 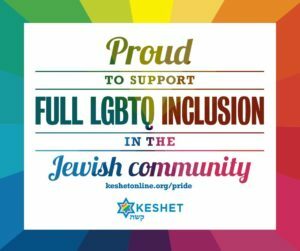 To share my thoughts about being “Hopelessly Jewish”. And I hope that others will contribute and share their stories.